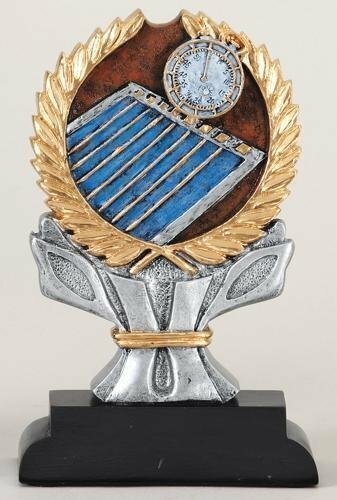 This Billboard Swimming Trophy (Male) is mounted on a star base. The swimming award comes with a brushed gold laser engraved plate. 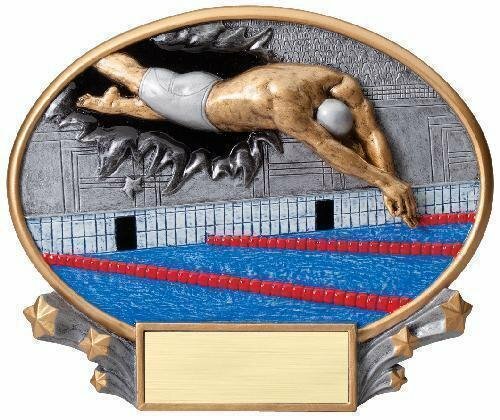 The Flame Swimming Trophy is a unique resin award. 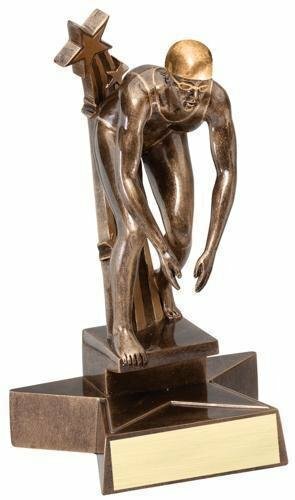 These swimming trophies have an antique gold finish. 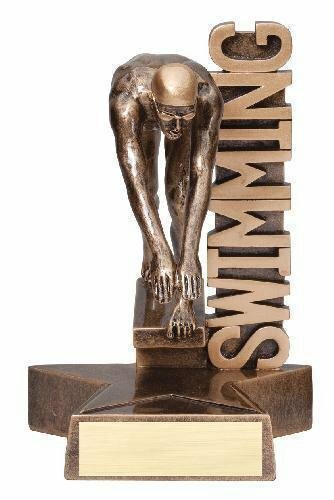 The swimmingaward comes with a brushed gold laser engraved plastic plate. 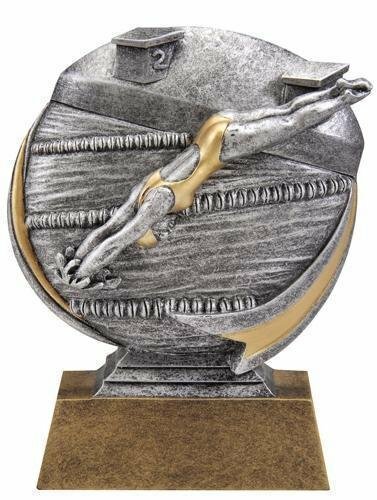 All swimming awards include free engraving. 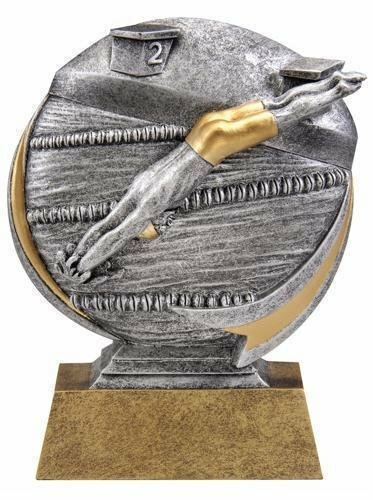 The Saturn Swimming Trophy design puts fun trophies in a new orbit. 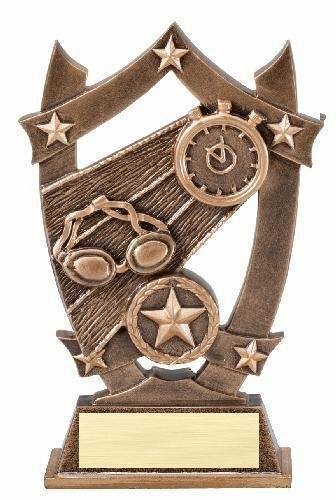 Give these swimming awards to commemorate a fun season or celebrate achievement. 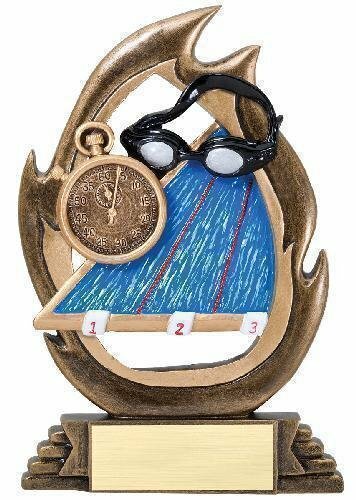 These swimming trophies are an economically priced. Each swimming award comes with a brushed gold plastic plate with laser engrave black lettering.